And here is a shot of Dutch John over the ortho scenery. You can make the roads transparent, you’ll keep cars and street lighting. 1) If you wish the change to survive X-Plane updates first make a copy of the “1000 roads” directory inside your Custom Scenery directory and work on that directory only. 2) Inside that new directory, replace CoresResidentialDryUS.dds by a purely transparent CoresResidentialDryUS.png of the same size. 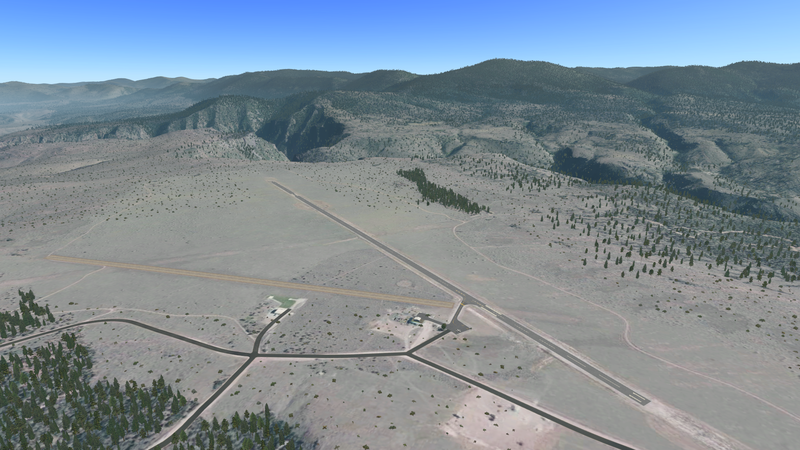 Do the same for PlugsResidentialUS.dds (you can do it also for highways, I do prefer to keep them the X-Plane way). If in Europe replace the US by EU. The change is all or not, which means that if you use the Global Scenery elsewhere you’ll need to first disable your 1000 roads line in scenery_packs.ini or you won’t have roads there either.